To be honest, this recipe was a complete accident. One night I was messing around in the kitchen trying to make a delicious mug cake for myself. The way I normally make them is by mixing together a bunch of different ingredients, keeping the same base of egg, butter and erythritol. As I began to make this particular chocolate mug cake I found myself with hard lump, instead of liquid. So instead of wasting all the ingredients I rolled it into a ball and presented it to Matt. 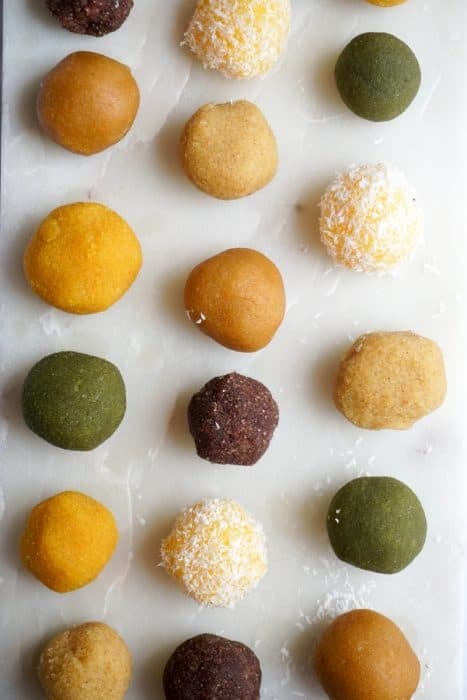 He instantly fell in love and knew that these little Low Carb Truffles could be remade in several different flavors! Never once did I imagine myself as someone who made homemade truffles. Sure, Cauliflower Hash Browns and Keto Brownies are recipes that I look like I could make, but truffles? Do I seem fancy to you? Don't answer that because I am! Matt and I not only made one truffles recipe, but we made six! And, each is more delicious as they proceed. The great part about them, however, is that they all have the same base with a small addition of a flavor. And, boy, do we have some great low carb truffle flavors for you! I think it's important to break down all six kinds in terms of ingredients as well as taste and texture. Here we go! 1. Chocolate: the chocolate truffle is the original. It's the OG of truffles in our house and it's the simplest of them all. Who doesn't have coco powder lying around and who doesn't love chocolate?? The texture is dry, but not a bad dry. It's like a shortbread cookie dry, which is the best kind of dry! 2. 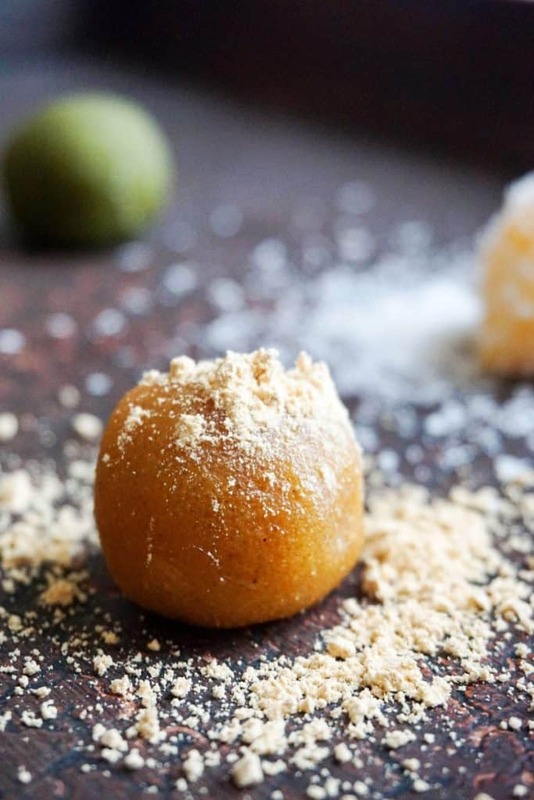 Maple Cinnamon: This is my favorite of all the truffles. A new ingredient we just acquired is maple extract and I love to add it to everything, so of course there needed to be a truffle that use it. The truffle is rich and dense, and not to mention, again, my favorite! 3. 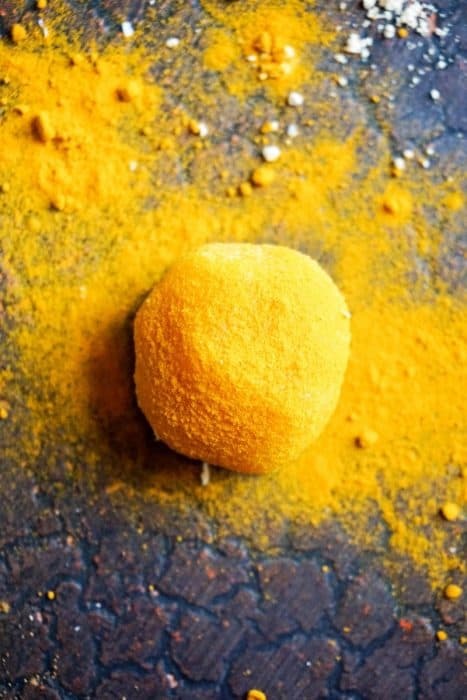 Turmeric: this flavor was risky in my opinion, but Matt was extremely insistent on making it so I my hands were tied haha. I was nervous because turmeric is a very strong flavor and generally an acquired taste. But, I was pleasantly surprised. The turmeric wasn't overpowering as I imagined it would be and the mix of the turmeric and erythritol was a good balance. 4. Coconut: This truffle by far had the best texture in my opinion. The shredded coconut keeps the dough very moist and almost enough to fall apart. If you tell me something is fall apart good, from brownies to lamb shank I am instantly going to love it without even tasting it. 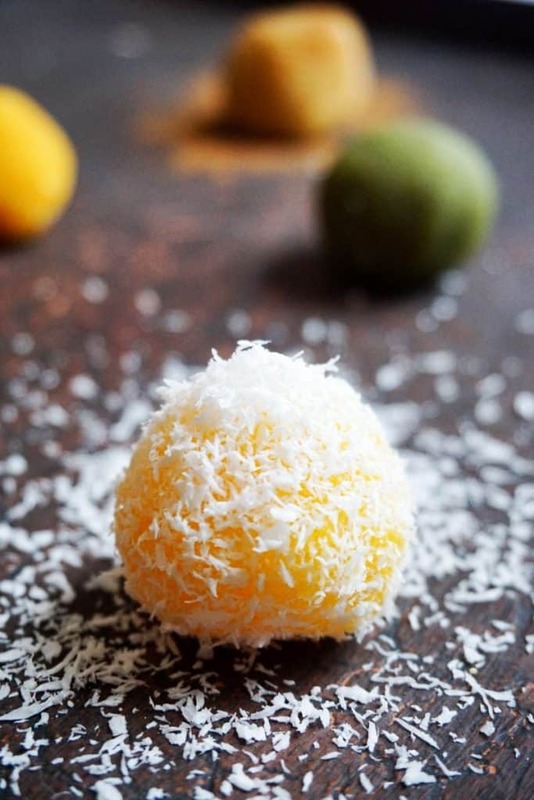 Coconut is a very strong flavor and there's no denying that after you try this one! 6. 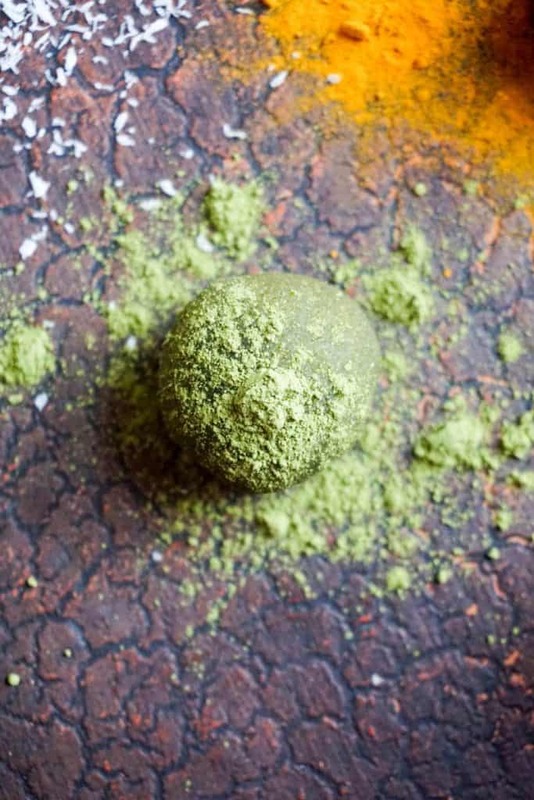 Matcha: Finally, the showstopper of the batch and Matt's all time favorite, Matcha. I had never really tried matcha until this recipe and the taste is definitely something everyone must try. 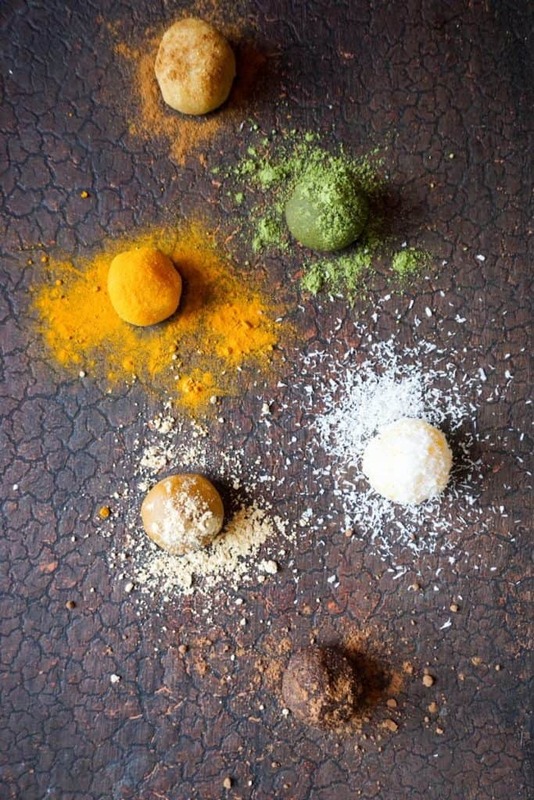 It's earthy and rich unlike any other flavor I can describe. I understand the obsession now! Go ahead and add anything you like to that base to give you your favorite low carb truffle. Most of our recipes, such as the Pork Rind Nachos, provide you the ideal base to layer on the toppings. 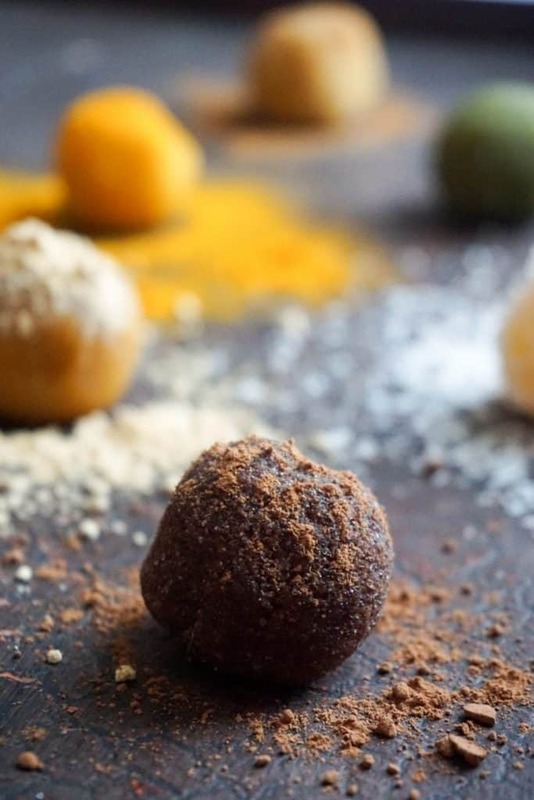 Our goal is always to make recipes that you can alter easily and create your own, and that's exactly what we did with these Low Carb Truffles. 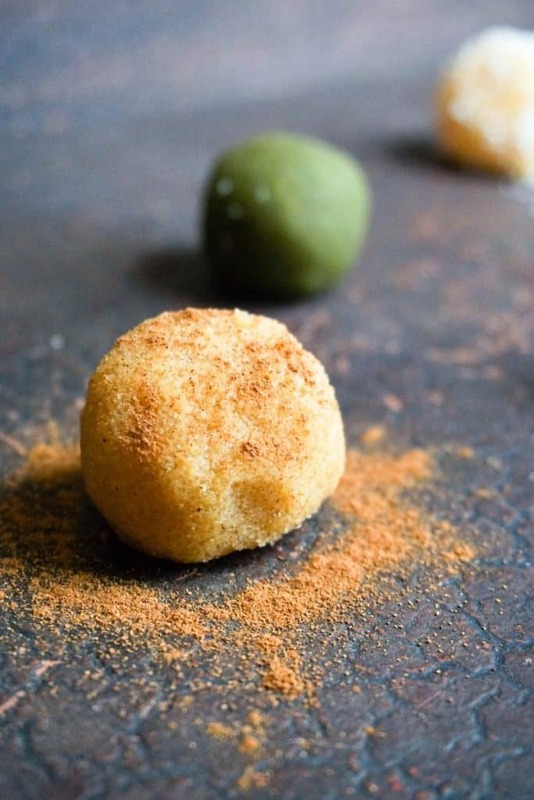 Recipe can be quickly added to MyFitnessPal - Search "KetoConnect - Low Carb Truffles Base"
Form into 4 even balls. Enjoy immediately or allow to set in fridge. Should be stored in fridge.